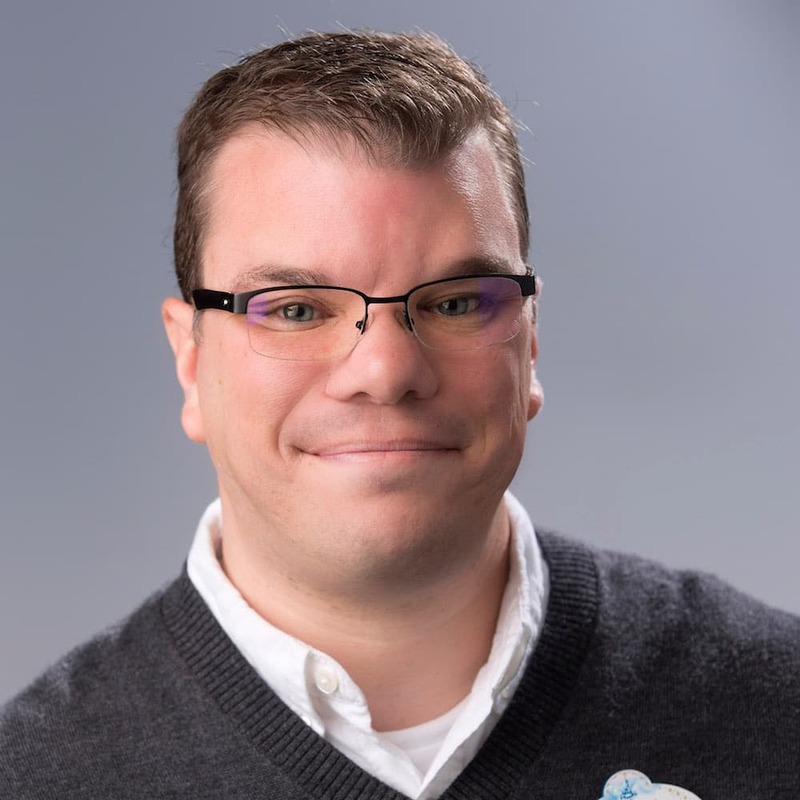 At D23’s Destination D: Celebrating Mickey Mouse, Disney Parks, Experiences and Consumer Products Chairman Bob Chapek celebrated 90 years of the iconic mouse. 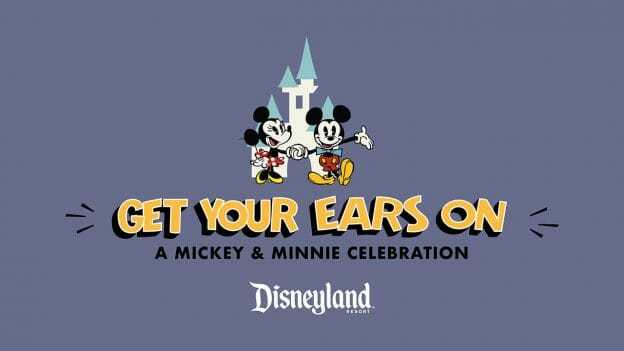 To commemorate this special milestone, the Disneyland Resort will kick off next year with Get Your Ears On – A Mickey and Minnie Celebration! Starting January 2019, guests will be invited to the biggest celebration of Mickey Mouse and Minnie Mouse in Disneyland history. Get Your Ears On will celebrate the beloved Mickey and Minnie, with exciting new entertainment and décor at Disneyland park, plus limited-time food and beverage offerings and festive event merchandise. 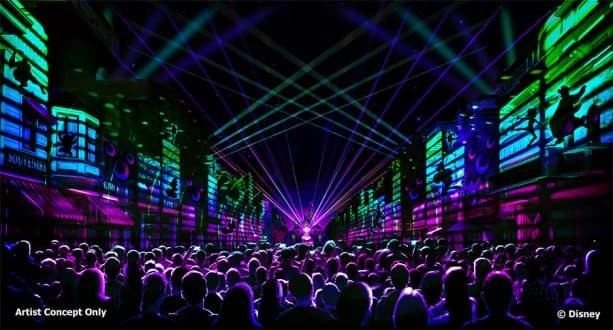 “Mickey’s Mix Magic”: The night will light up at Disneyland park with a new high-energy projection show, celebrating Mickey Mouse and creating a family-fun dance party atmosphere throughout the park. State-of-the-art projections, lighting and lasers will transform Main Street, U.S.A., the water screens of the Rivers of America and the façade of “it’s a small world” into a colorful, dazzling array of sights and sounds, with “DJ” Mickey spinning dance-tastic twists on favorite Disney melodies. And on select nights, “Mickey’s Mix Magic” will go sky high when the show is enhanced with the addition of fireworks. “Mickey’s Mix Magic,” will debut on Jan. 18. “Mickey’s Soundsational Parade“: This popular parade returns with a rockin’ new opening to kick off the party—Mickey Mouse will lead the way in a new larger-than-life opening, inspired by classic Mickey pull toys. Chip ‘n’ Dale will arrive with a giant celebration cake, as Mickey leads a whimsical musical procession of Disney characters. “Mickey’s Soundsational Parade” returns to Disneyland park on Jan. 25. Valentine’s Month: Celebrate the love of Mickey Mouse and Minnie Mouse during Valentine’s month! Disneyland park will feature lovely, festive Valentine’s décor, including a new Mickey Mouse flower “portrait” on Main Street, U.S.A. Guests may also choose to partake in Minnie’s Valentine Surprise, a special scavenger hunt experience in Disneyland park. Once guests have purchased a commemorative map and stickers at select merchandise locations, they may search for the hidden valentines that Minnie has left for Mickey around the park. Valentine’s Month at Disneyland park kicks off Jan. 22 through Feb. 18. Food, beverage, merchandise and more: Specialty food, beverage, novelty items and merchandise will be available for a limited time, including “classic” Mickey- and Minnie-shaped foods with new festive twists, exclusive Get Your Ears On-themed treats and Valentine-inspired specialty items. In addition, limited edition celebration merchandise will be available for all ages, including apparel, pins, plush, and of course, Mickey and Minnie ears. Join us at the Disneyland Resort as we celebrate 90 years of magic with the legendary duo that started it all! When does the Mickey’s get your ears on celebration end? When will this celebration end? Shoot not going to be there to February 25. Does anyone know if the Birthday Mickey sipper cups will be back during the birthday celebration? Very cool! I’m so looking forward to Minnie’s Valentine Surprise. I love when the parks utilize the space for scavenger hunts and challenges. It’s something new and cool to do for all guests. I would normally not be visiting Disneyland around Valentine’s Day, but you have roped me in with the new Valentine decorations AND Minnie’s Valentine Surprise! The Egg-stravaganza is one of my favorite annual activities at Disneyland Resort, and I love that there will now be an extra (Valentine-themed) hunt to enjoy. The more holiday-themed or seasonal scavenger hunts you can come up with, the better! I am so excited that we get some hunts here on the West Coast! I love the egg hunts, but when I am in FL, I love the additional hunts with each festival. I am so glad we get an additional Hunt next year. They are so much fun to do. Well this is disappointing. While WDW gets announcement after announcement of new attractions and shows, Disneyland gets a few token menu items and ANOTHER recycled parade. 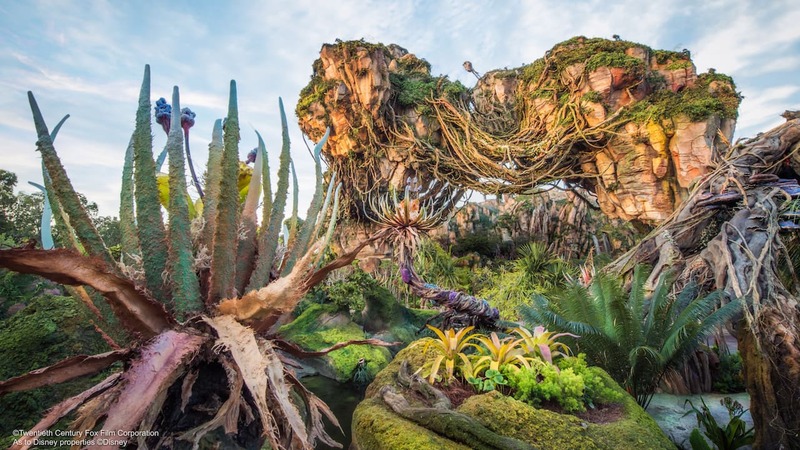 It’s unfair to just repaint old attractions and try to call them new experiences. At the very least, you could bring the Festival of Fantasy parade over from WDW and try to call it “new”.